Ladies, what do you do with your cosmetic containers when you’ve used the last drop of foundation or the last shimmer of eyeshadow? Instead of tossing these items in the trash, you should reach out to the manufacturer and ask if they have a recycling program. Many cosmetic companies encourage their customers to bring in empty containers in order to receive a discount on a new product. The company then collects these containers and reuses them in future products. This is a responsible way of disposing of your cosmetics—plus, you may get a discount on your next purchase! Because of the blade on disposable razors, these items are not accepted at recycling centers. Try choosing another type of razor that will last for more than one or two uses so you don’t have to waste as much plastic. Check the plastic packaging of your floss to see if you can spot a symbol that tells you what plastic is used to make the product. Most floss products are made with plastic #5, which is a bit trickier to recycle than others. Do a little research online to find out if your local recycling center accepts plastic #5. If it does, simply place it in your recycling bin and leave it at the curb. But if it doesn’t, consider recycling it via the Preserve Gimme 5 program. This program offers eco-conscious consumers a way to recycle plastic #5, since many recycling centers do not accept this type of plastic. Go to the Preserve Gimme 5 website to see if there’s a drop off location near you, but if there isn’t, you can always mail in your items instead. The majority of shampoo, conditioner, and body wash plastic bottles can easily be recycled through your local recycling center. After you have squeezed the last drop out in the shower, rinse out the bottle to remove any remaining product. Flip it upside down to see if you can spot a #1 or #2 on the bottom of the bottle. Most of these personal care products will be made from plastic #1 or #2, which are accepted at local recycling centers. Never add an empty toothpaste tube to a recycling bin prior to calling the recycling center and asking if they accept this type of product. Many recycling centers cannot process toothpaste tubes, so it’s important to call ahead. If your recycling center does not accept toothpaste tubes, Terracycle will. This is a program that collects products that are difficult to recycle, and in fact, they’ll even take your toothbrush! Recycling centers will not accept toothbrushes because they are made out of multiple materials and will need to be taken apart before they can be processed. 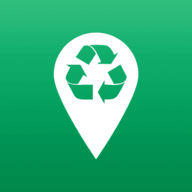 Instead of throwing an old toothbrush and toothpaste tube in the garbage, find a Terracycle location near you. Next time you run out of your favorite personal care product, scan this list to see if and how it can be recycled!